Hi! I'm Lisa. If we're going to be friends, there are a few things you should know about me. 1. I'm passionate. *Read LOUD. I only have one voice. And it's loud. I use it lots. It doesn't mean I'm mad. It means I care. 2. Jesus is my biggest passion. It thrills me to find whispers of Him in everyday places like laundry piles, carpool lines and conference calls. I've also found God likes to show up in big and unexpected ways in the not-so-everyday places like cancer, depression, anxiety and Alzheimer's disease. 3. I love my family with a fierce passion. I've been married to Andrew for over 20 years, most of them happy. 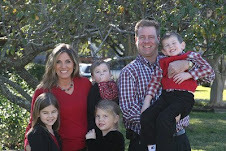 Read about how God is making my dream of a beautiful love story come true here. 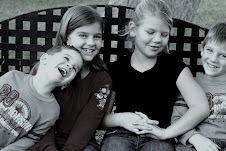 We raise our four teenage blessings in an amazing community in north Houston, Texas. 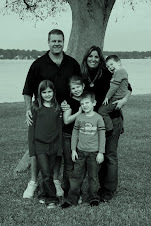 I juggle four kids, three schools, multiple sports teams and our real estate business. On good days, everyone is where they're supposed to be, with what they're supposed to have and enjoying all the things. There are also other days, lots of other days. On those days, we build character, as my mama says. You can usually find me in my mobile office, errrr my car, same thing. I enjoy crime shows, good books, the smell of a clean house, lazy mornings, sunshine warmed skin, girl trips and the end of a good workout. I vacation at the beach as much as possible and waste most of my free time trying to get organized. 4. A dream to share my story fills my heart. Really, it's a desire to see you find God in your everyday places that keeps drawing my pen back to the page. You'll notice there's a huge gap between what I write now and what I wrote then. That's because after the cancer, all my words disappeared. I was eventually diagnosed with major depressive disorder and lots of things most of what made me well, me, disappeared for awhile. But, God promised me He would give me words again. He promised me He would teach me a new language, your language. But He also reminded me the best way to learn a new language is to be immersed in the culture. So I spent a few years hiding in Him before picking my pen up again. I promise to tell you all about it, a little at a time. If you haven't known me forever, you can read more of my back story here.